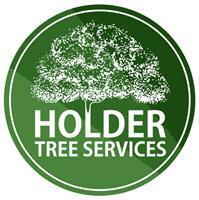 Holder Tree Services Ltd - Garden Services, Tree Surgeon based in Cowfold, West Sussex. At Holder Tree Services we conduct all aspects of tree surgery from small crown reductions to large dangerous take-downs. No job is too small or Large and we pride ourselves on excellent customer service and the highest work quality. All the staff at Holder Tree Services are highly trained tree climbers and Arborists with NPTC qualifications. We can sort any TPO and conservation applications and work closely with the local authorities to get this sorted in an efficient and professional manner. We pride ourselves on being able to offer advice on tree management, tree health and disease, and the issues surrounding trees and planning. Our tree services include tree surgery, tree maintenance, tree felling, hedge maintenance, , stump removal and emergency tree services. Holder Tree Services are experienced in working with Developers, Local authorities, Housing associations, facilities management companies, civil engineers, builders and ecologists. We ensure that our commercial projects are carried out to the highest of standards suitable for both small and larger companies and organisations. Grab and tip. You create a pile and we will come in and grab the waste for you.We have a forestry grab for large logs and a clam shell bucket for wood chip. We also have large timber back for the trailer with pins to Load timber. At Holder tree services we also have our very own greenwaste, Log and Woodchip recycling yard. For a fee we can take all greenwaste which is then recycled to create renewable energy.